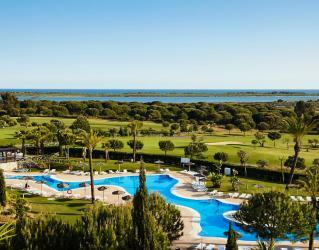 Complete with unique climate condition of mild temperatures and over than 300 days of sunshine each year, El Rompido golf hotel is the perfect golf destination all year round. 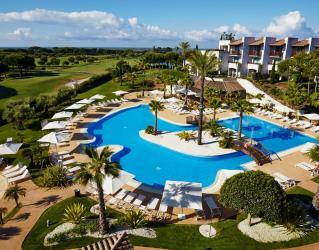 Set in a picturesque fishing village in Huelva, Precise Resort El Rompido is a haven of peace and beauty just an hour from both Seville and Faro airports. 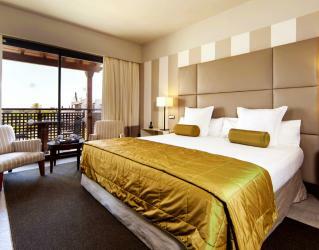 Precise Resort El Rompido welcomes you to explore the cultural and natural wonders of the region. 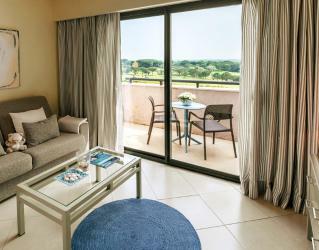 Whether it’s a round of golf, a sunset sail, an afternoon of spa treatments, or a glass of wine accompany you. 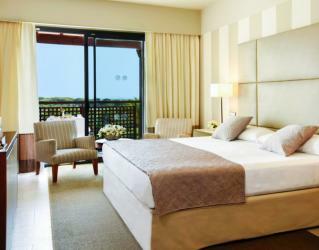 Comfort and quality wrapped in the natural beauty of the surroundings await you in our rooms & suites. Contemporary design and neutral tones give a modern feeling and a sense of space while the breathtaking view seen from the balconies and terraces. 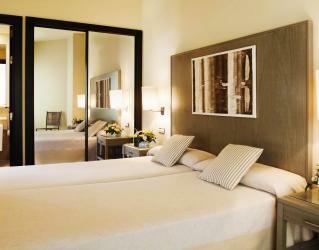 To meet any preference the resort consists of a five-star hotel. The Restaurants at Precise Resort el Rompido offer guests a taste of a delicious seasonal cuisine with unique Andalusian flavours. The hotel and apartments club boasts various food and beverage venues with a wide selection of dining possibilities from buffet dining to in-room service in The Hotel. Bindali Restaurant offers various international dishes. 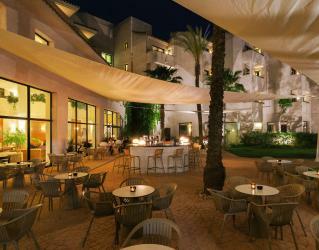 For grilled or baked seafood; El Faro Alfresco Restaurant is an ideal spot. Apartment side the main restaurant; Atalis Buffet Restaurant also offers a buffet menu. Italian restaurant oh the hotel El Lago, serves delicious pizzas and delicious cocktails. La Galea Bar offers various types of cocktails, for a well spend afternoon under the sun Son Saura Terrace is a perfect place. Binibeca Lobby Bar this is a heart of the club, an in and out lobby bar where you can enjoy an aperitif, after-dinner conversation and chill out music away from the entertainment zones. 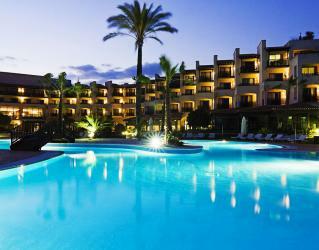 Cala Blanca, you wish to enjoy the El Rompido sunset while sipping a cocktail or late evening drink. Macarella Bar brings life to the apartments. 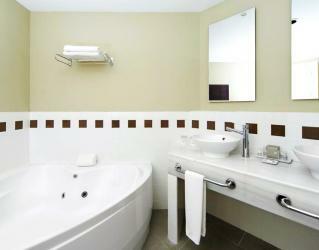 It is the nighttime entertainment centre and the optimum location for family fun in a relaxed and cheerful setting. El Rompido is a state of mind and a way of life. With the unique spa treatments and fitness programs, you will discover a sense of well-being and joy of treating yourself. 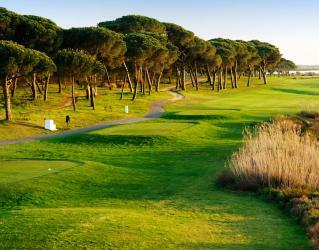 Its two 18-hole courses, surrounded by pine and orange groves, cross the wetlands and open out onto the Atlantic Ocean with some spectacular views, giving those who play it a unique experience.The force of nature is evident with every step, turning the sport of golf into a pleasure for the senses. 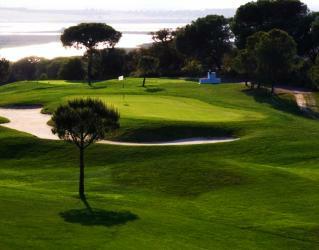 Located in the upper section of the complex, this course is a real challenge for fans of modern golf. Intelligently laid out, it is a truly enjoyable course that interacts with nature: it is located right in the heart of the Marismas del Río Piedras Nature Reserve and that of Flecha de El Rompido. This course requires both length and accuracy from the golfer; however, even though a great amount of forethought is required, the course is not above any player’s level. In fact, the greens are sized to ensure that both the most adept player and even the less experienced golfer will fully enjoy their round. The South Course borders the Clubhouse and is perfectly integrated into the environment to facilitate the walk round. The front and back nines differ with regards to technical level required and also with respect to the landscape. 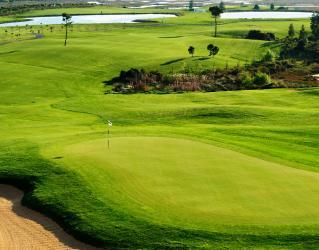 The greens on the course stand out, with some being considered among the fastest in Andalusia. 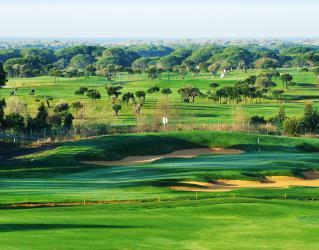 Due to the mixture of tropical and winter grass, players find the fairways lend a great sense of comfort to their game.